Featuring an award-winning restaurant overlooking Victoria Harbour, Renaissance Harbour View Hong Kong, a Marriott Luxury & Lifestyle Hotel in Hong Kong, is set on scenic Wanchai Waterfront. Directly connected to Hong Kong Convention and Exhibition Centre, it offers a landscaped pool and fitness centre. 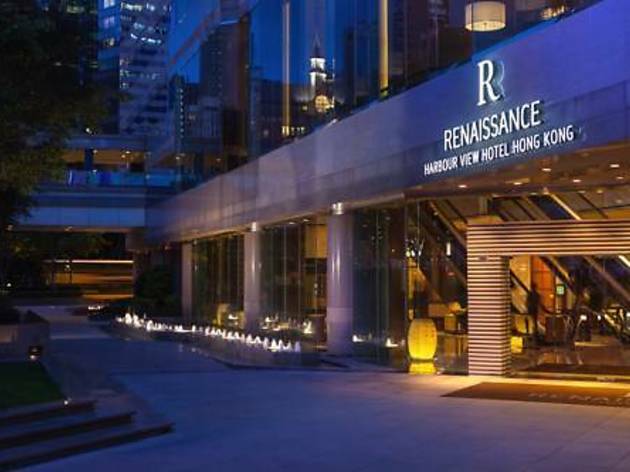 Renaissance Harbour View Hotel Hong Kong is a 5-minute drive from the city centre and a 10-minute drive from the iconic Victoria Peak and lively Lan Kwai Fong. It is a 20-minute train ride from Temple Street. Renaissance Harbour View Hotel Hong Kong features stylish rooms with marble bathrooms for a touch of luxury. Guests have the convenience of cable TV, a safe and ironing facilities. A fitness centre provides guests the chance to maintain their work outs, while a golf practice facility and putting green is available for golfers. Staff can also attend to multiple business needs.